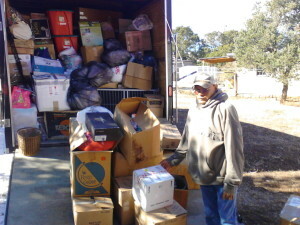 We receive in-kind donations that are in good condition and still usable. We then distribute them to organizations. Some of the places we give to are homeless shelters, thrift stores, ministries, churches, schools, disaster areas, community centers and other non-profits.